Featuring both overlap and tongue and groove options, this varied collection of wooden workshops offers many different places to do some hands on work. Large enough for work tables, large tools, as well as storage of your garden goods, these workshops are a very useful addition to any outdoor space. Just like our wooden garages, these workshops feature super high quality felt, and ethically sourced timber that will last for many, many years. The modular design options work in a similar way to our bespoke log cabins, and offer customisation, so that you can create the perfect outdoor space just for you. If you're looking for a safe space to keep your vehicles or a hideaway to carry out your craft or hobby, then you're in the right place. We've got a huge range of metal and timber garden workshops and garages. 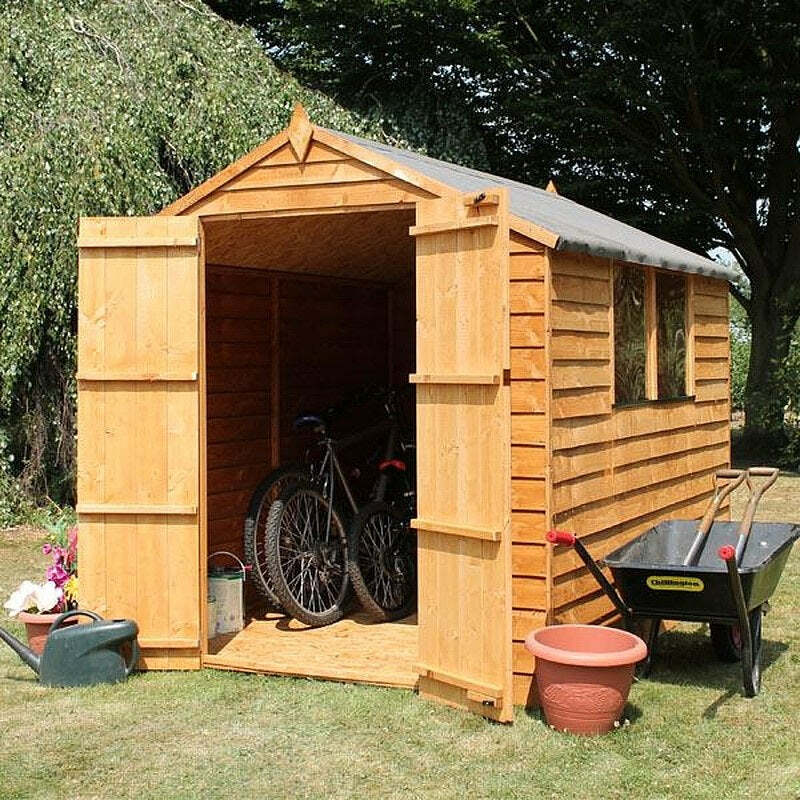 A wooden garden workshop shed is the perfect to place to hideaway and enjoy your craft, hobby or get your work done. Whether your turn your space into an artist's den or a carpentry studio, a well designed shed is the perfect workshop. Away from the house and out in the garden, you can create more space for yourself, keep your tools and materials out of the house and concentrate in the peace of your own work space. Our range of metal and wooden garage sheds are the perfect vehicle storage solution. If you don't already have a garage and are looking to put some of your outdoor space or garden to great use, then this is one way you can potentially lower those vehicle insurance premiums and keep your beloved car, bike or motorbike more secure. All of our timber is ethically sourced sustainable and is FSC certified. So you can be sure that your wooden workshop is not just high quality, but also comes from ethical sources. We offer free UK delivery on our metal and wooden workshop sheds and garages. Simply enter your postcode on the page of your preferred product to find out whether you are eligible. Your delivery will need some construction, so do check out our guide on building a base. Alternatively, for an additional fee, our team can construct your workshop or garage upon delivery, leaving you to just enjoy the finished product. Call us to find out more.